Webkon changes the way your Real Estate business interacts with potential home buyers. Use Google Eddystone and Beacon technology to create an immersive open house experience. Real-time analytics allow you to target recent and frequent users of your app with instant push notifications of new listing updates, price changes, and more. Create a look-book of your property listings. Allow potential home buyers to view high quality photos of available homes. Create profiles for each of your property listings. Include pricing, details about basic features, and upgrades. Send notifications to your buyers about new listings, price changes, and more. Allow users to message agents instantly from your instant app. Less barriers between agents and buyers opens up new opportunities for communication. Embed 3D virtual tours directly into your property listings. Webkon uses augmented reality technology to create an immersive home buying experience for users. With Webkon app, real estate industry can instantly update content that also in real-time. Webkon apps keep the buyers well-informed about slightest change that they make. The change can be an increase or fall in a property’s price, a new property, amenities offered by the property, near-by attractions, and much more. Webkon apps supports Augmented Reality. With pictures, videos, and 3D tours, the real estate industry can allow the buyers to virtually see how the property looks like without visiting it. With Webkon apps, buyers can look for their dream-home from the comfort of their couch. Users can enjoy augmented reality via Webkon Physical Web and use 3D view to go through the content. The beauty of Webkon apps is that it allows the user to populate as much content as they want to. Progressive web apps do not eat up any space in your smartphone. 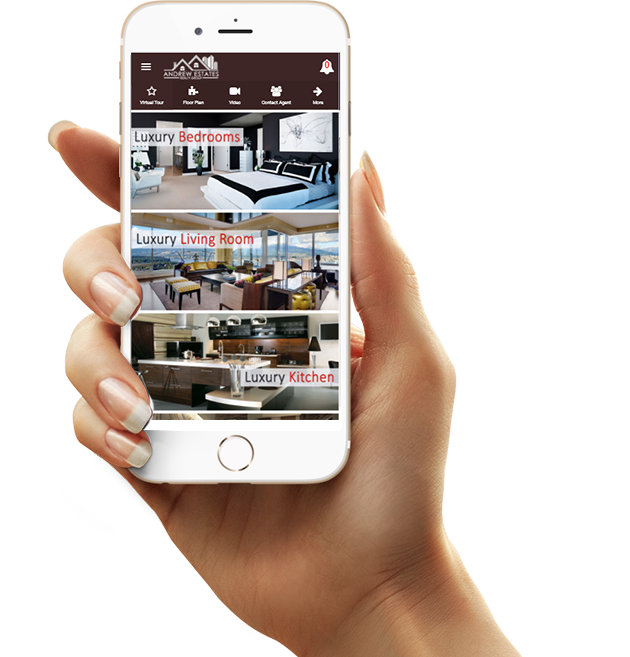 Webkon apps let you display data of hundreds of properties that the buyers can access while on the go. With our powerful Admin Dashboard, you have complete control of highlighting unlimited properties. Our easy-to-use admin allows businesses to create the perfect listing to attract the potential buyers. The Webkon app for real estate can help agents with reports on frequently visiting visitors, average page visit time, potential buyers, most-inquired property, most popular locations, most popular designs. With Advanced Data Analytics, track potential buyers, display available properties, and send PUSH Notifications. Webkon apps allows the real estate specialists to send updates, changes, alerts, and other information to the buyers through push notifications. The beauty of this feature is that the user gets the notifications even if the device is in the offline mode or the browser is close. Push notifications helps businesses to re-engage with their customers. Social networking platforms are the best ways to promote business these days. You can share the URL of the Webkon app through social networking sites like LinkedIn, Facebook, and Twitter. You will surely find most of your potential buyers through networking. The users can click on the URL to reach your progressive web app and search for their dream property. Mobile campaigns are another brilliant ways of reaching to the potential property buyers. With Webkon apps you can run several mobile campaigns to improve your customer base, enhance conversion rate, and increase sales. For instance, an home finder app that allows the users to calculate the mortgage of properties and also combines augmented reality for image display of the interiors.